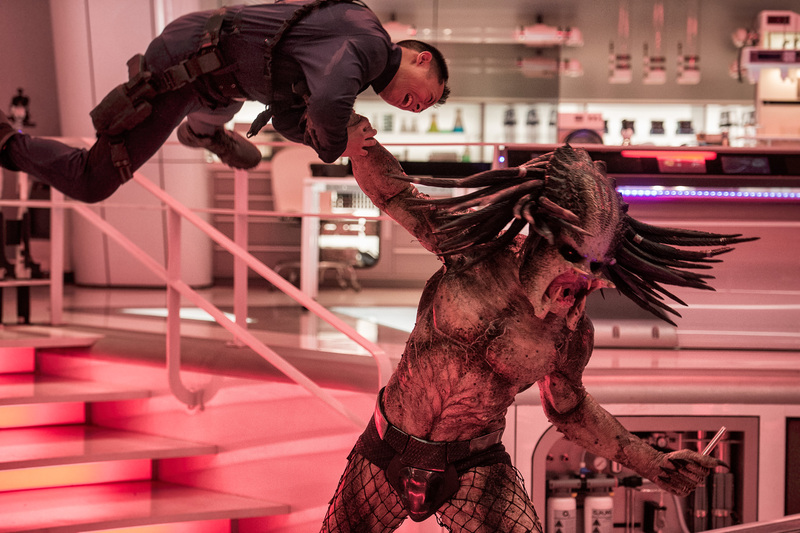 When it was announced that Shane Black (The Nice Guys) was doing a predator film there was much anticipation that an A list writer / director was going to reboot a franchise after the poop poor mash-up ‘AvP:Requiem’ and a lacklustre 3rd film, ‘Predators’. As it turns out the only surprise for this version of The Predator is that the title role is not Jimmy Saville….but we digress. The latest entry starts off returning to its Jungle origin as Quinn McKenna (Boyd Holbrook) as a sniper is about to take the shot at some shady crime lord just as an alien spaceship crash lands and ends with him facing off against the predator with a gory moment which Black had promised was the direction he would be returning the franchise. Unfortunately whatever film he had intended becomes increasingly mellowed as the story continues. Having covertly posted the predator’s mask and gauntlet to his asperger’s stricken son Rory (Jacob Tremblay), Holbrook is bought in by the military for a debrief only for him to realise that they’re keen to cover it up and bump him off. So when he and a load of other military prisoners are driven away to who knows where they find their attempt to escape coincides with a captured predator escaping the military compound too chased by Olivia Mann as, much like in the first film, the obligatory token female role. 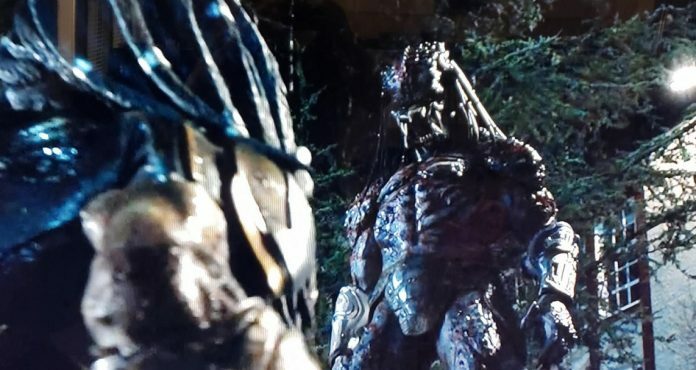 Unlike the previous films The Predator does at least try to evolve the storyline of which his asperger’s son turns out to be central and a super Predator is thrown into the mix too. 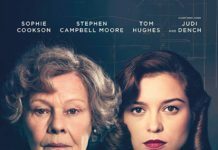 Black’s film has had extensive and well publicized reshoots and rewrites which is never a good sign and it shows especially after the halfway mark. 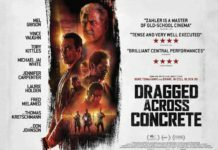 The usual Shane Black trademark tropes remain although the usual Christmas setting is changed for Halloween here but we have the crucial child role, the filthy and somewhat misogynist jokes and the script has a load of throwbacks to previous films to varying effect which fans will pick up on. So, Arnie’s ‘Get to the chopper’ line returns but is a mumbled throwaway and his other line, ‘You’re one ugly Motherf****r ‘ is inverted to become ‘You’re one beautiful mother*****r’ and Jake Busey pops up as a scientist as a loose connection to dad Gary Busey’s role in the second film. Unusually Black throws in several anti-Christian jokes at the expense of the Bible which hasn’t featured before in his previous screenplays. But as unashamedly macho as The Predator is it ultimately becomes a standard action film and maybe much like the alien franchise it’s now time to call it a day after what is, for Black, a film that’s uneven in tone.